Des, does it have to be classic music that exists, or would it be okay to make up a composer (e.g. the work of Erich Zann)? hI, Pete. Anyone can try me on that. But I must admit I was expecting real classical music. Don't have nightmares, but can anyone see the front-on cat between the top orange images...? Can I just ask if anyone has submitted anything which refers to Erik Satie? I'm in the process of getting a few ideas together around him for a story which I'd like to try for the anthology, but if he's been 'done' I might re-think! As far as I can recall, nobody has submitted a ES story so far. However, coincidentally, I read 'Millwell' by Glen Hirshberg in the last few days that - at least partially - features ES. I hope you will submit a story. Cheers Des - hoping to write the first draft of this over the weekend! However, coincidentally, I read 'Millwell' by Glen Hirshberg in the last few days that - at least partially - features ES. Sorry, please read 'The Nimble Men' for 'Millwell'. I think I might have a crack at something for this, despite my knowledge of classical music being somewhat sketchy. Time for some research. Note to subconscious: in future, please try to get story ideas more than a week before submission deadline!! 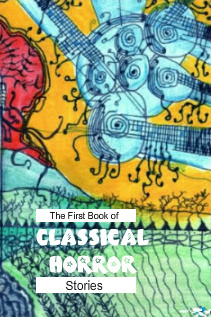 CLASSICAL HORROR ANTHOLOGY: 30 May 2012: Deadline Midnight tonight British summer time. I have had an enormous amount of great stories many of which would be worthy of inclusion in the book. So please do not be too disappointed if you should receive a rejection. In view of the large amount of work involved, there may be some delay in coming to various decisions. As has always been my wont since starting this paying market of Megazanthus Press in 2001, I do not comment on rejected stories, but merely notify rejection by email.